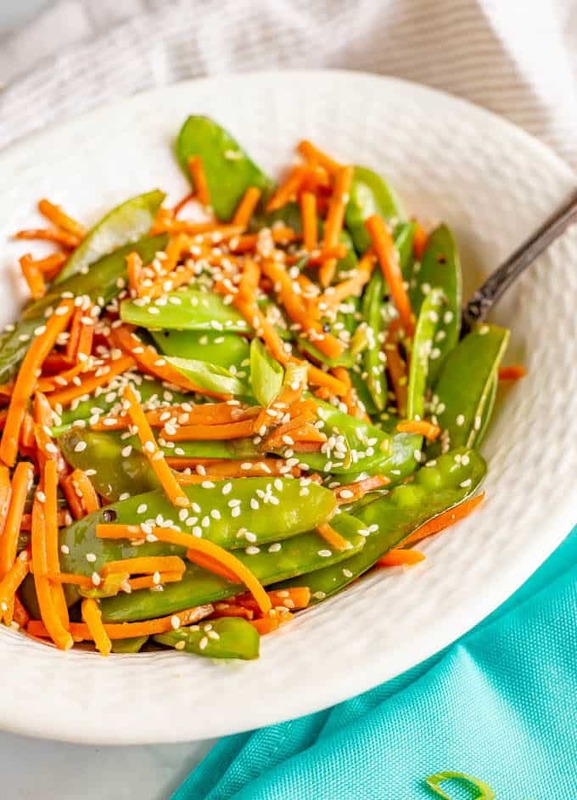 Sesame snow peas and carrots is a quick and easy side dish that’s ready in just 10 minutes! 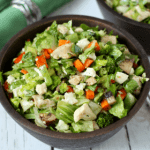 You’ll love how colorful and tasty this recipe is for a quick weeknight veggie side! Happy, happy Thursday my friends! And tonight I’m teaming up with some other area food bloggers for a fundraising event. It should be delicious, fun and also hopefully really impactful! But let’s talk food. Specifically veggies! 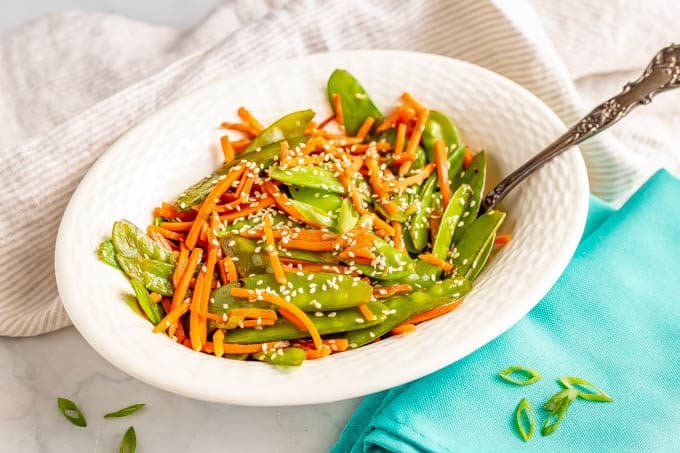 I’ve previously shared my easy sesame asparagus, which is just 6 ingredients and another pretty and colorful side dish you should check out! 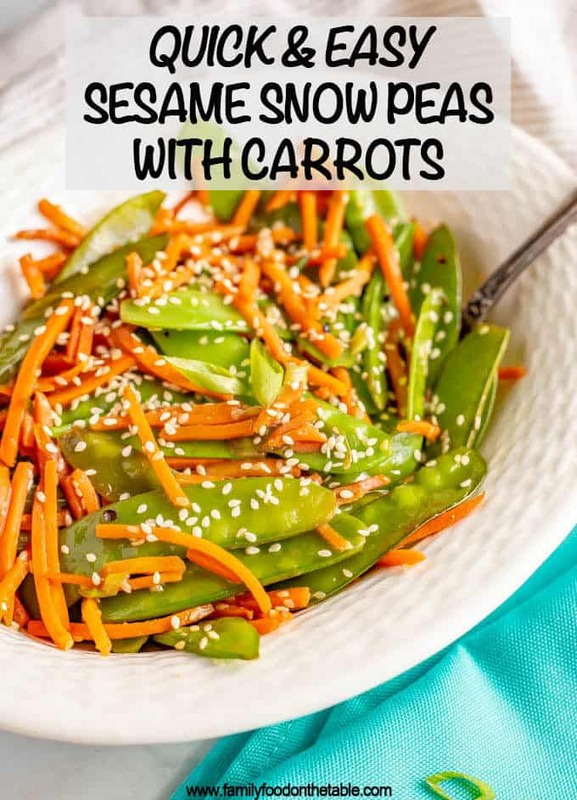 Today though it’s my sesame snow peas and carrots. 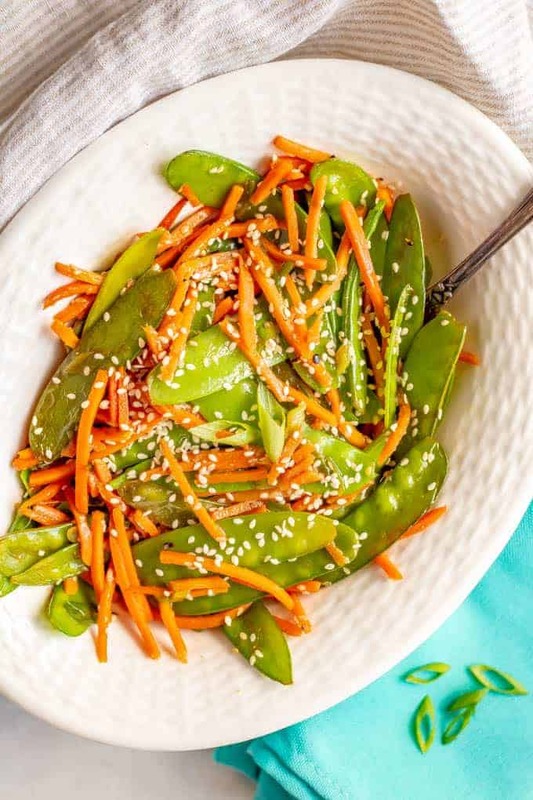 This easy side dish has some of those some Asian flavors from the ginger, soy sauce and sesame seeds. 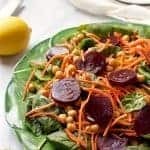 Those heavy hitters are paired with snow peas and matchstick carrots that are sautéed until perfectly tender and then seasoned up and served. 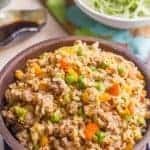 This recipe takes just minutes to prep and 5 minutes to cook – can’t beat that! 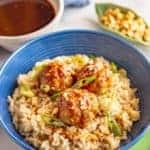 And you’ll love the rich umami flavors and the pretty mix of colors in this dish too. 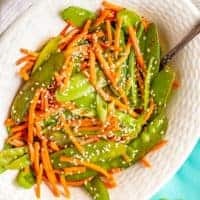 I’ve got a few FAQs on snow peas and some recipe notes below. Just trying to be helpful! There are three types of peas: snow peas, sugar snap peas and garden peas. Snow peas, or Chinese pea pods, are flat with tiny peas on the inside. The whole pod (inside and out) is edible, though the tough strings along the sides are usually removed before eating. Sugar snap peas, or snap peas, are rounder and thicker than snow peas. They have a sweet flavor and a crunchy texture. The whole pod is edible. And while we’re at it, garden peas or sweet peas or English peas are firm and round. The peas must be removed, or shelled, to be eaten and the pods are discarded. 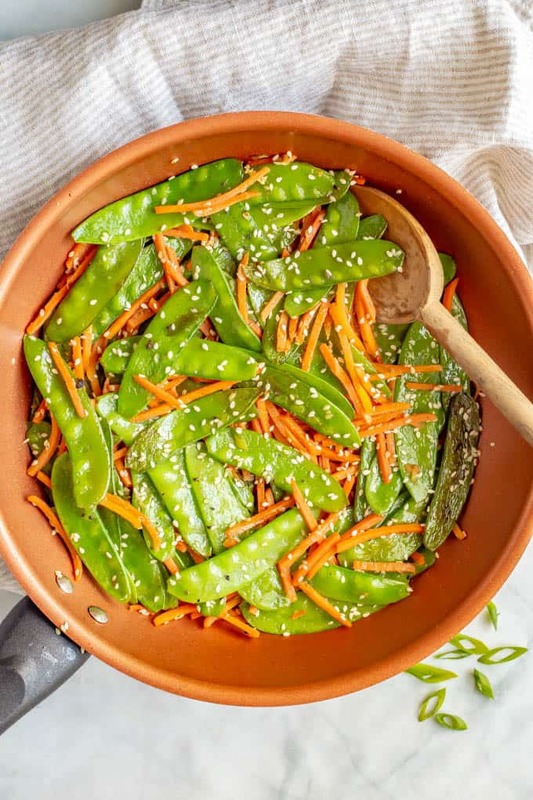 How do you prep snow peas? 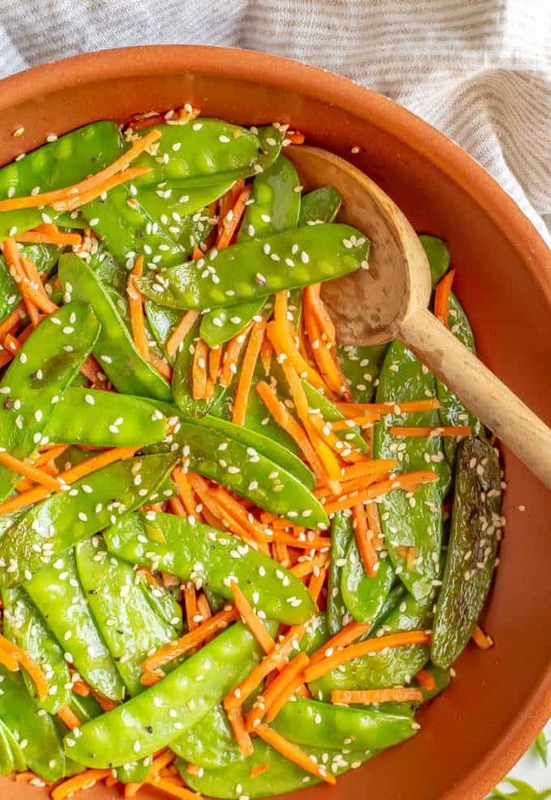 The only prep for this recipe involves removing the strings from the snow peas. They are a bit fibrous and can be tough, which is why we want to remove them. After you’ve washed your snow peas, take each one and pull the small tip at one end. 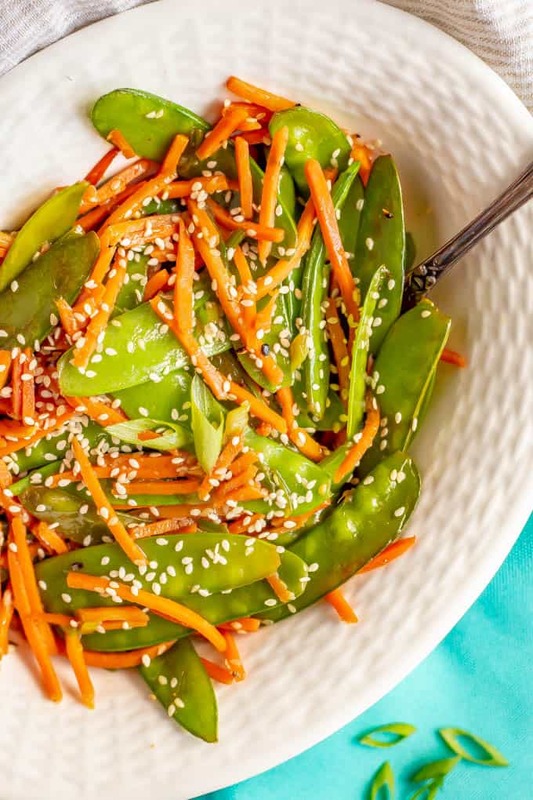 You’ll want to pull it against the flatter side, not the rounder side, of the snow pea. It’ll pull out a string along that side. Now your snow peas are ready to use! Which means you are ready to make this dish! I like the extra flavor and Asian flair from the sesame oil, but you could just use extra olive oil if you don’t have any. 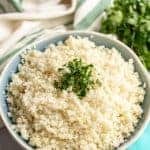 I prefer grated fresh ginger for this recipe, but you could use 1/4 teaspoon ground ginger if that’s all you have. 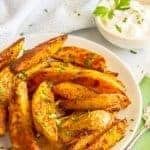 I hope you give this a try for a quick and easy weeknight side dish! Heat both oils in a medium skillet over medium-high heat. Add the snow peas and carrots and cook for 3-4 minutes, until tender. Add the green onions, ginger, soy sauce and sesame seeds. Stir to combine and cook another minute. Season to taste with salt and black pepper and serve hot. Like it spicy? Add 1/4 teaspoon red pepper flakes to give this a little kick. Finally, you can serve this with extra soy sauce, green onions and sesame seeds if you’d like.